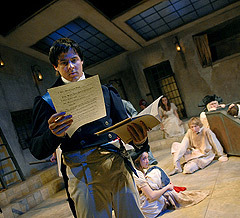 Backstage magazine’s 2012 Fall College Guide listed Augsburg College among the top five U.S. institutions for theater majors who wish to continue their studies professionally. 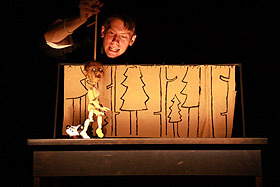 “In our Theater Department, students connect with professional artists in the city while they delve into their theater courses,” said Darcey Engen, Augsburg College associate professor and chair of Theater Arts. It’s not traditional theater. And it’s not very common to see students on campus with tape over their mouths and rope wrapped around their bodies. 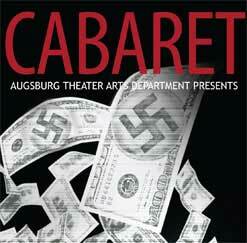 But that is exactly what students in Augsburg’s upcoming theater performance did last week to promote their work. 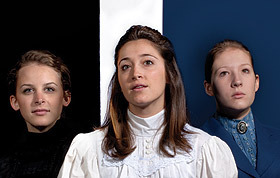 Last weekend the Augsburg Theatre Department opened its 09-10 season with Anton Chekhov’s The Three Sisters, a drama that expresses Chekhov’s longing for Moscow (he was in Yalta at the time) and for his wife, Olga, who he left behind.